SATURDAY 1/19/18- PRACTICE AT HIGH SCHOOL SOUTH 8:30 AM- Bunch of different workouts-most kids warmed up for 15 min, SDS (8) followed by 30-40 x 200m with 125m jog dudes who races yesterday ran 13 miles on TP at 6:30/ mi and completed 10x100m. Jillian and Maddie ran 2 x 1600m at G 3200m pace followed by 4x400m at a little faster than goal- generous rest. Ladies MD group ran Bowerman drill 600-200 with 30 rest- Kavya ran 145/35- Kelsey right behind- followed by a jog and 10x200m fast with 125m rest jog. Austin Andrew and Lunders ran 4x800m at goal 32 (4 min rest) followed by 8×400 at 70-72 (3 min rest) 2 lap cooldown for everyone. Friday 1/19/18– distance run of 6-8 mi and upper body lift for top ladies. 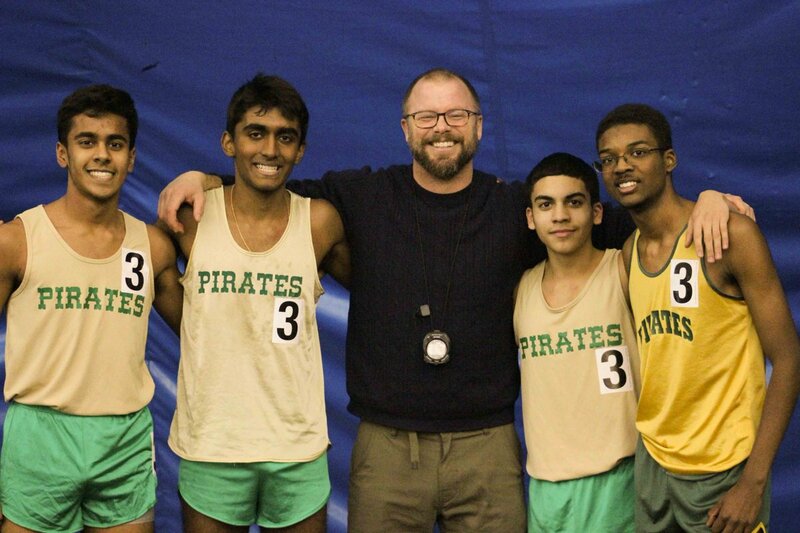 Top dudes competed at State Relays- BOYS WIN!! 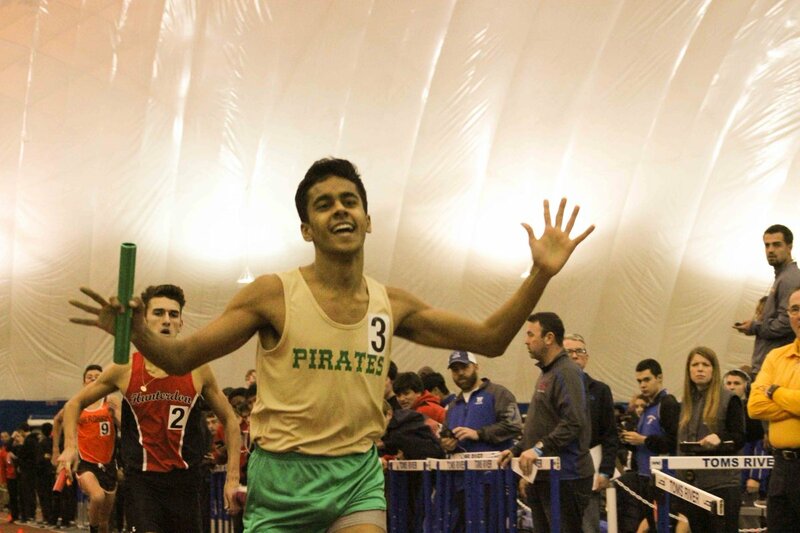 Thursday 1/18/18-pre meet for dudes, NJ state relays for gals, for those not competing this weekend kids ran 1200m at goal mile effort followed by 8 x 75m sprints. Wednesday 1/17/18-either pre meet for gals or run of between 6-8.5 miles. Monday 1/15/18-15 min up, SDS (8) dev group ran between 16-24x 400m on a 2:15, 2:45, and 3:00 cycle. Those expected to run this weekend ran 600-800m at goal pace followed by 10x 200m at 30 (dudes)- 35 (ladies), 2 laps down and squat routine.